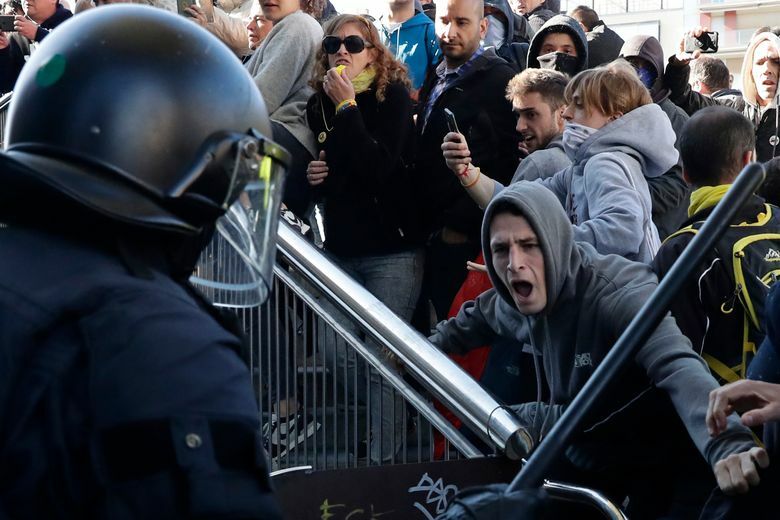 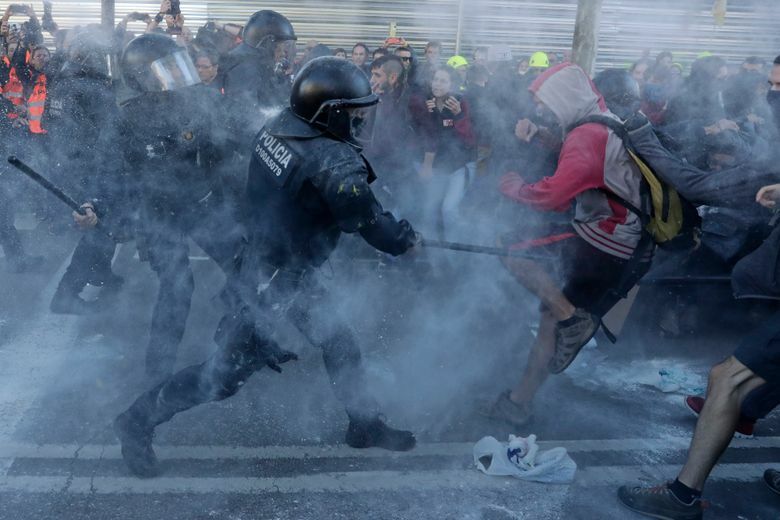 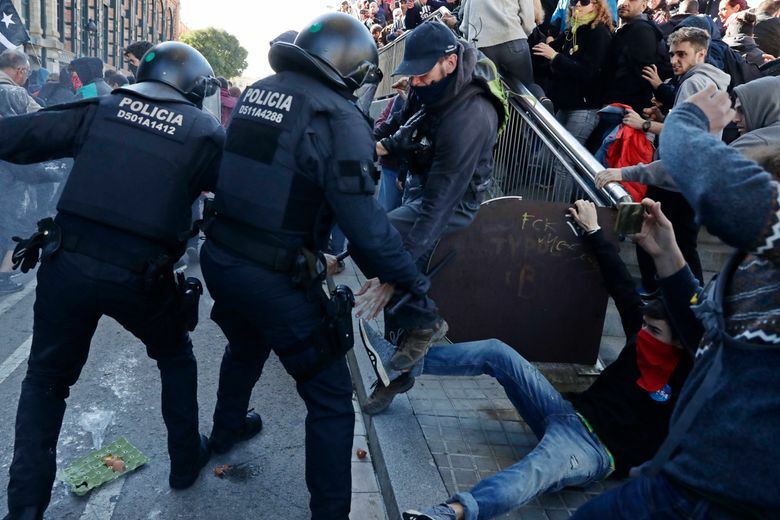 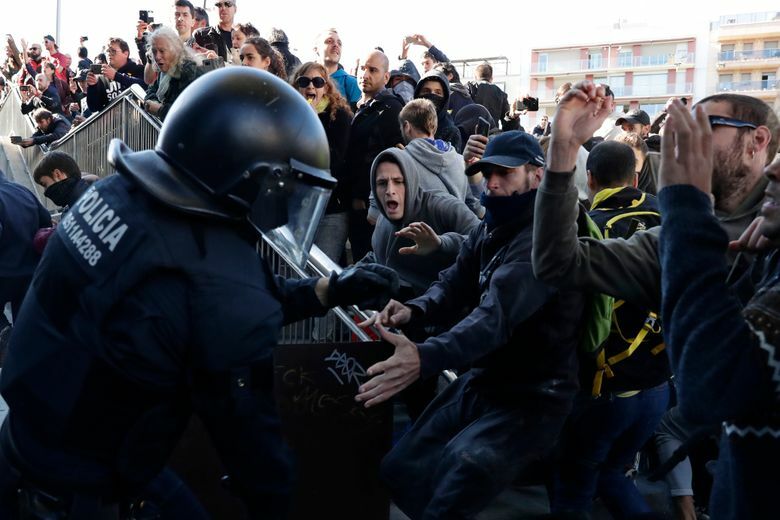 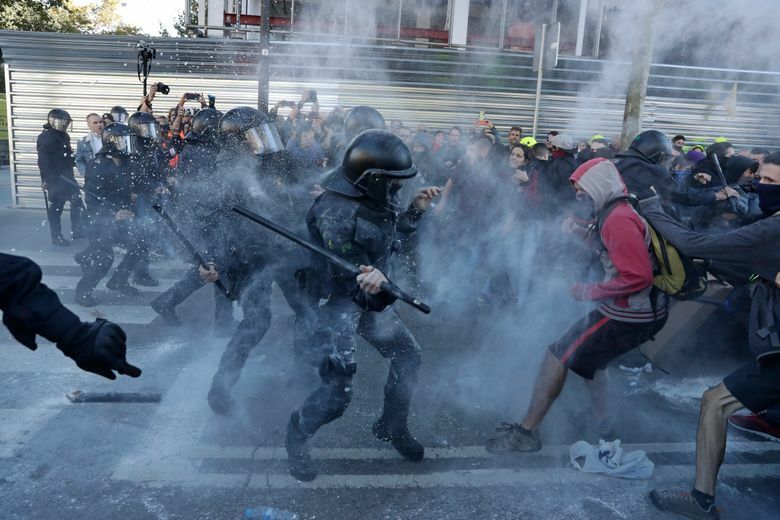 BARCELONA, Spain (AP) — Police in Barcelona have briefly clashed with Catalan separatists who are protesting a rally by Spain’s national police forces in the Mediterranean city. 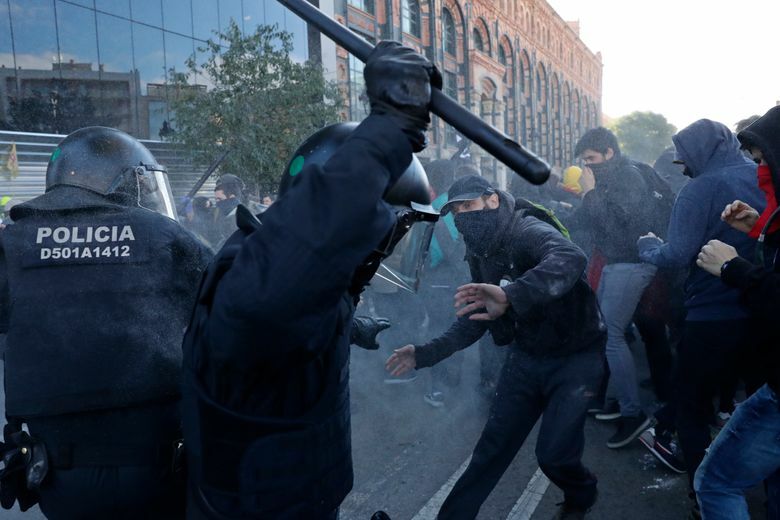 Catalan regional police used batons to drive back a group of separatists in the city center Saturday, stopping them from advancing toward a march by an association of Spain’s national police forces demanding higher pay. 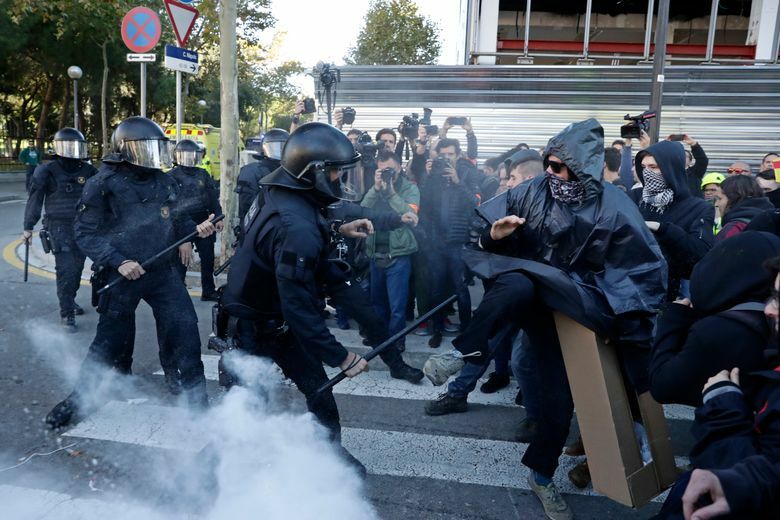 Spain has been mired in a political crisis since last year, when Catalonia’s separatist lawmakers failed in a breakaway bid. 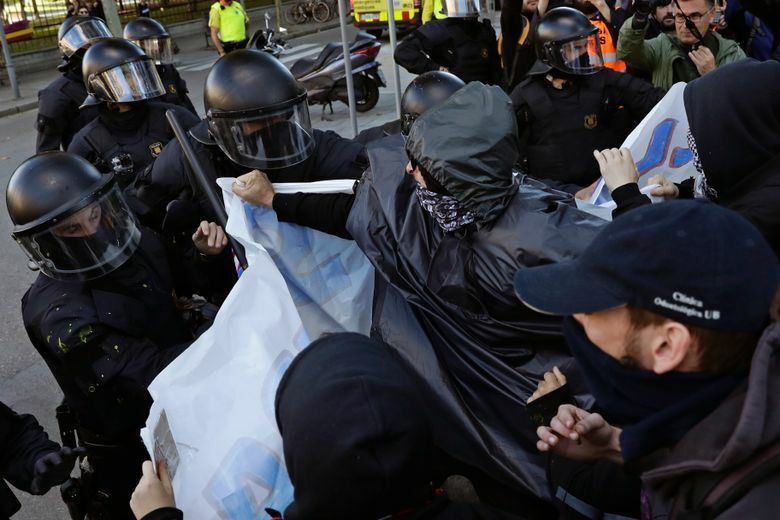 Polls and recent elections show that the wealthy northeastern region’s 7.5 million residents are roughly equally divided by the secession question. 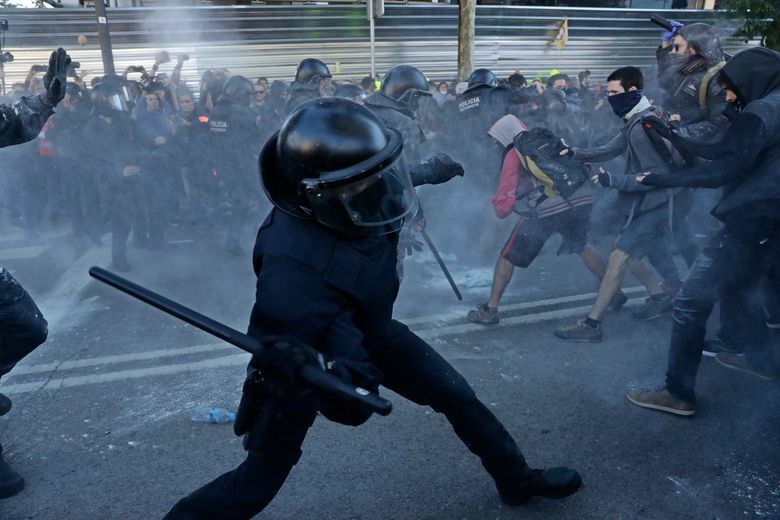 This story has been corrected to show that 14 people were injured in September, not 20.